Created a few years ago and hosted by Kyle Ayers, comedians compete to see who can compliment one another in this showdown of sweetness, this clash of consideration, this barrage of benevolence. 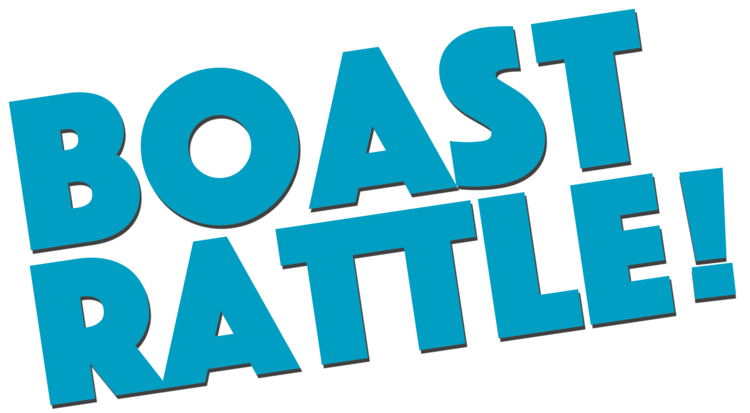 Playing off of the idea of roasts, Boast Rattle has two comedians go head-to-head, delivering alternating blows of the nicest order. Two rounds. One lucky crowd member who gets some on-the-spot boasting. One Champion of Charity, Master of Magnanimity. Boast Rattle has been featured in the Just for Laughs Festival in Montreal, The Kennedy Center in DC, New York Comedy Festival, SF Sketchfest, Moontower Comedy Festival, and more. It has traveled coast to coast, and featured Andy Kindler, Martha Kelly, Aparna Nancherla, Jo Firestone, Joe DeRosa, John Early, Amy Miller, Nikki Glaser, Kate Berlant, Janelle James, and more. This very special Bird City edition of Boast Rattle includes compliments from the likes of Shane Torres, Maggie Maye, Amy Miller, Jackie Kashian, Brandie Posey and Danielle Perez.